Ivy (a daughter in the Lord, whom Jay and I have been mentoring for more than a year now, with 15 plus more in our homegroup, under Maranatha Family Church) and I went to Thailand last May 19-23, 2016 to attend the Unstoppable Advance of The Kingdom conference by Revive Asia. I have heard of these conferences by Revive Asia since last year but have never been so eager to attend until I saw that David Hogan was to be one of the guest speakers of the Unstoppable Advance of The Kingdom conference. Those of you who have known me over the years may have noticed that David Hogan is a hero in faith. My parents in faith (Baileys, Millers, Cracknells, Erbs, Saunders) introduced him to me. To be more specific, my brother Paul who just arrived from their Special Training Course (STC) mission trip mentioned that Mike Bailey gave a handkerchief to this person who needed a miracle in his body during the trip. He then discussed further who David Hogan is. I got a hold of his Faith to Raise the Dead videos and teachings after, at the Discipleship Training Center (DTC) library and then fed myself after that via videos online. To make the long story short, I have followed this man’s life (as I followed Christ) for 10 years now. I have watched most of his preachings. I have known him “personally” of some sort: how he usually start his sermons (blessing people, introducing and honoring his wife or family member, talking about his family, his marathons, confronting the religious spirit, so on), his humble beginnings, the testimonies, his techniques (seeking God and fasting), songs he likes (something that has the blood of Jesus in it)… His life challenged me that there is more to this God I serve. That I shouldn’t live the “Sunday Christian” lifestyle alone and die. That I can raise the dead! That I can live in the “greater things” along with the passion for revival in the Philippines in this generation. For those who don’t know David Hogan. He is a missionary in Mexico for 40 years (or more) now. Their ministry has expanded to thousands of churches. But above all these, he is one of the few people walking on earth who are living the “greater things” Jesus mentioned in the gospels. He is raising the dead, cleansing the lepers, casting our demons, and expanding the kingdom of God through signs and wonders and miracles. 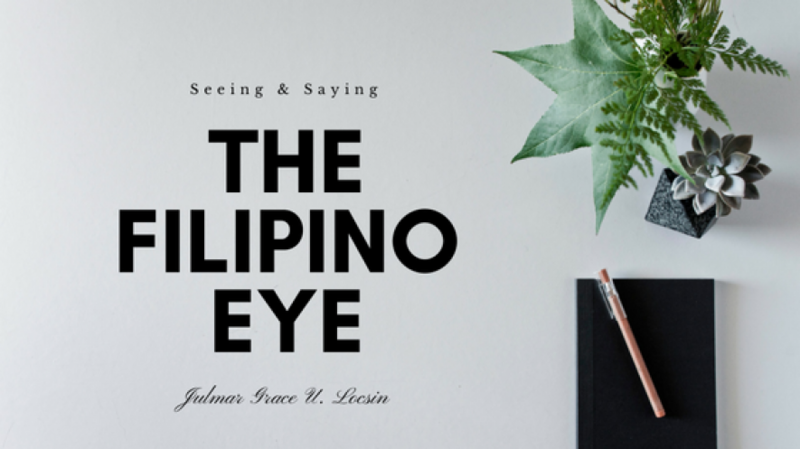 He has been travelling and speaking in different nations for years but have never been so close to the Philippines. Thus, when I saw that he was coming to Thailand, I took a leave from work, asked permission from my Husband, and believed God in faith to provide everything that I needed financially (I had only 3 weeks to prepare). Ivy stepped in faith too and joined me. God provided all that we needed. I was personally set to being activated in power as I planned to get that impartation. I felt at home right when I got to the conference. Christians all over East Asia gathered exalting God in worship. We met people from Thailand, Malaysia, Indonesia, Vietnam, Laos, Singapore and India. There were also missionaries from the West, some have been living in Asia for years now. It was such a great atmosphere of heaven on earth. It was the right revival stream. They know about the past revivals in history. The reformations and prayer movements. It the long lost family I have been looking for. We came from different tribes and tongue but share the same language of revival and faith. It was home. The speakers were more than what I expected as well. I went there for David Hogan but Leif Hetland and Mel Tari ministered to me as well. Leif Hetland is a bulldozer in the kingdom of God. He has been paving the way of the gospel in the Middle East. He has witnessed God save more than 1 million Muslims through the message of Love and Peace, accompanied with signs and wonder, miracles and favor to influence to Muslim leaders and empower the persecuted church in the 10/40 window. Mel Tari is a man of wisdom and prophecy who have been in ministry for 50 years. Their ministry have witnessed outstanding miracles like raising the dead, turning water into wine and walking on water. I learned a lot from these 3 generals of our time. Their combined word and the whole conference itself was a born again, again experience for me. It was what I was looking for all these years. Coming to this conference all paid off. I went to get an impartation for revival in the Philippines, but I returned home with so much more — I got sonship. My mind was renewed. I was birth into a new horizon of faith called love. I have learned that it’s not about being a Christian walking in power alone. It not even about the revival and reformation of a nation. It’s all about who I am in Christ. It’s about the heart of the Father for me. It’s about being a son. It’s about a love relationship that goes out to everything around me. It’s about dependence in God. It’s about the “hard work of rest”. It’s about Him in me and not Me wanting Him (using) for my purposes. I think I have learned this all before. But it was just all in the head until I was baptized in Love. I learned that to be powerful, I need to be powerless… He is God and not me. I can cater change when I am in Him. So I got to meet David Hogan at the conference. I was literally star-struck when I first saw him. 🙂 I always find myself looking at him when he’s in the room and studying his ways. I am grateful of being given the opportunity to be in the same room with God’s generals living today. Nonetheless I was more in awe about how the Lord led my David Hogan journey to Himself. I honor David with all my heart and glad to have thanked him myself for living the life that challenged firebrands like me for the more of God. He is my hero in my christian walk until I die. But I am most grateful that Papa met me in that conference and baptized me in love. He did not make me a soldier in kingdom alone… a revivalist, a Filipino general, prophet whatsoever… He revealed His heart to me and made me an heir. He exposed the delights of His heart to me. What else is better than this?